Missy's Portraits specializes in painting portraits of babies, children, families, pets, houses and cars. Wouldn't you love to capture your most treasured moments by turning them into beautiful hand painted portraits? Portraits also make unique and wonderful gifts for friends and family. Do you know someone who would love a custom car painting? 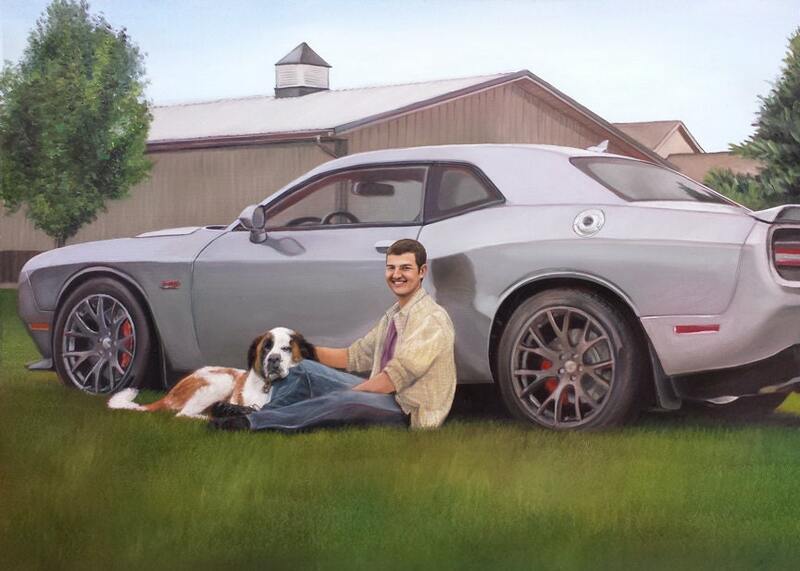 Viewed above is a custom portrait of a gentleman with his dog and his mustang. Typically, starting from when the portrait gets ordered, I am able to have your portrait completed and shipped to your home within 6 weeks. Rush orders are offered for an additional $30.